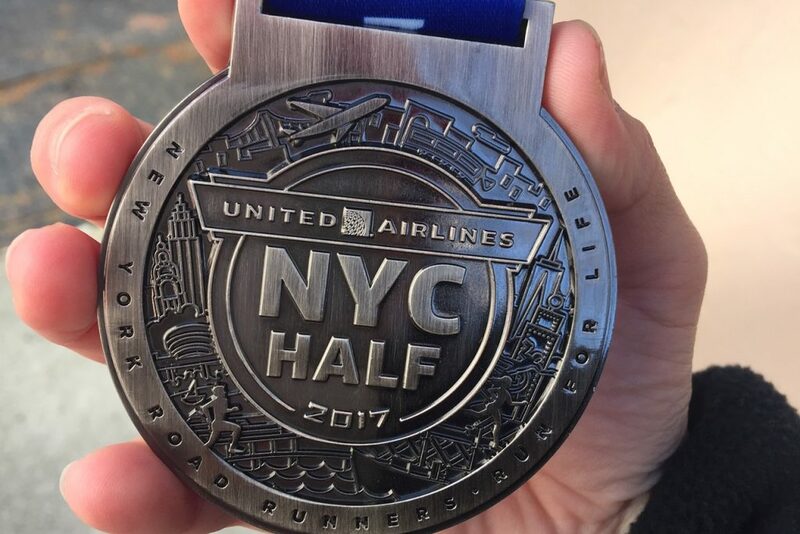 Last month on Sunday, March 19th, I took over the streets of Manhattan at the United Airlines NYC Half 2017 along with almost 20,000 athletes from around the world. We represented 6 continents, 84 countries and all 50 states. More importantly, we represented a unified body of runners from all walks of life who determined to be champions that day. It was a humbling and unforgettable experience and I’d love to share my reflections from race day and every part leading up to it. 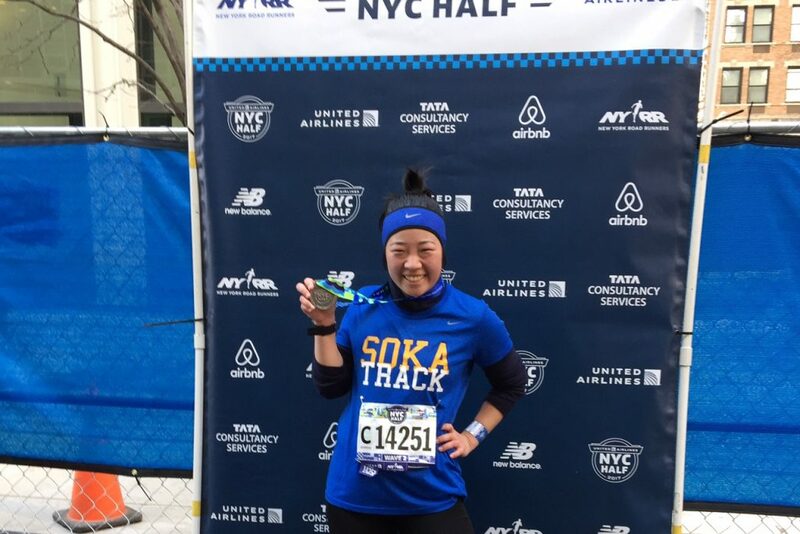 Preparing for New York City’s most premier half marathon started back in October 2016 when New York Road Runners (NYRR) began accepting entries into the race. 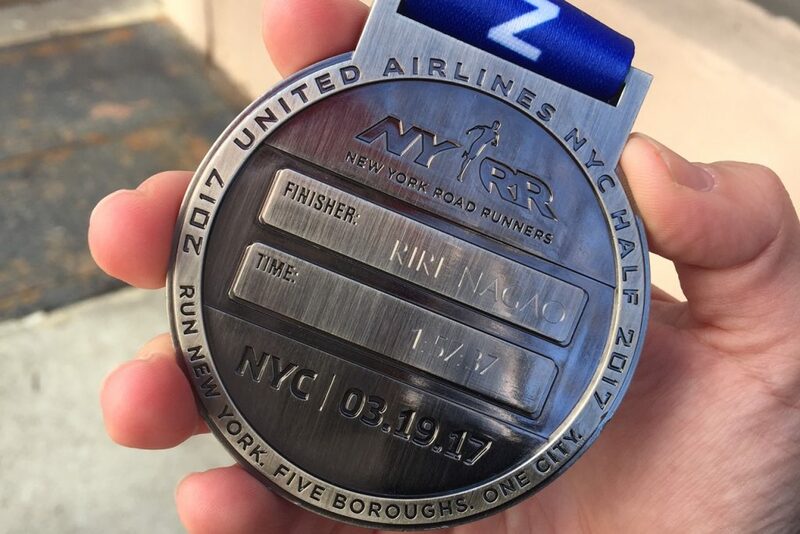 In order to obtain a guaranteed qualifier, I would’ve had to completed at least four out of six races in the 5-Borough Series. But I didn’t so I applied to be part of the raffle drawing. I made a firm determination to run this thing in 2017 so not getting a spot wasn’t an option. Fast forward to December 8th, I secured my spot. It was official: I was going to run this iconic race! Training for this was tough, but a challenge that I welcomed with open arms. On some days, I blew through my high mileage runs with no problem. But on other days, I could barely convince myself to get out of bed. The week leading into the race was the toughest because I seriously struggled with my confidence as an athlete. Despite the fact that I’ve completed a half marathon before, I didn’t believe that I could do it again. On top of that, I was tapering down my training so my body experienced endorphin withdrawals and it was affecting me negatively. 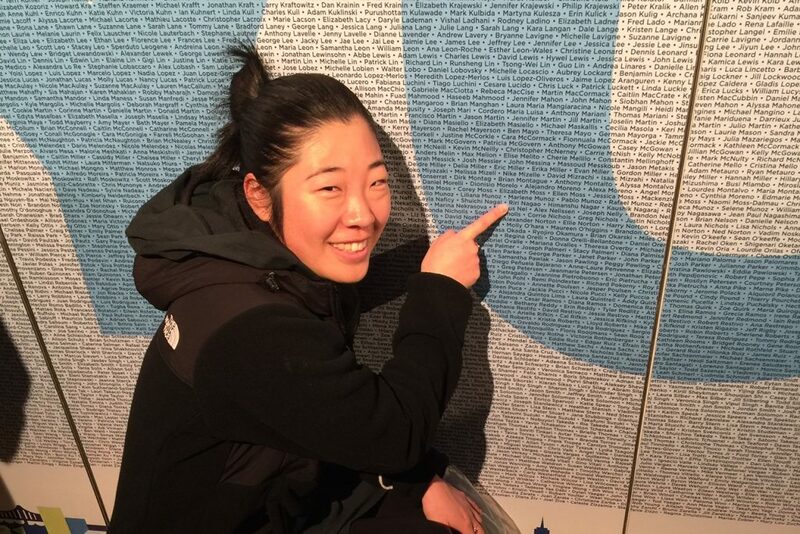 Oh hey, found my name! When I opened my eyes on the morning of, I had mixed feelings. I told myself, “Trust your training!” But those nagging feelings of hesitation and skepticism lingered. I’ve already picked up my bib a few days prior and committed to finishing this race so I dragged myself out of bed and got into uniform. My calves hurt. My knees hurt. My hamstrings hurt. My quads hurt. So I guess it was a perfect day to crush a half. Plus, after an entire week of weather scares, it warmed up and the snow decided to stay away so I chose to embrace the race. I’m ready, bring it on. As soon as I got to the starting line and the racing high kicked in, all my insecurities about being able to complete the race and finishing strong went away (for now). At the least, I knew I was going to finish. But at best, I’d join the sub-2 club. To be safe, however, I told others that I’d like to maintain a 9:30 mile pace and finish under 2:05:00. But the crazy daredevil Riri was going to challenge a sub-2 time. I wanted bragging rights but more importantly, I wanted to regain that fierce confidence back. The first half of the race was in Central Park. Having done countless races there, I knew where each and every hill was. I’m notorious for slowing down whenever I hit a hill. I like the idea of challenging those gnarly hills but I fall into my comfort zone and do what I am good at: slowing down when the going gets rough. But for this race, I committed to maintaining my racing pace even as I go up those hills. How did I do? Well, just take a look at my splits for the first 6 miles. When I left Central Park, passed the halfway point and looked down at my watch, I was at 55 minutes. That’s when I started believing in my potential to get a sub-2 time. Combine that with the thrill of running down an iconic New York City landmark and my legs were on fire! Going down Seventh Avenue and through Times Square was my favorite. It was such an emotional moment to to see a stretch of thousands of runners push through their struggles. This overwhelming sense of appreciation for having a strong, capable body bubbled inside of me. Plus, that mile was my fastest split! Making that turn into Hudson River was rough. Not only did that powerful wind nearly knock me down but my left knee gave in and betrayed my legs. Following that, my splits slowed down significantly. I kept looking down at my watch to make sure that I could still push through and complete the race in under two hours. But running with a piercing pain in my left knee for the last five miles slowed me down a lot and I entered into a brutal inner battle with my doubts and insecurities of potentially not even being able to complete the race. When it came down to the last 5K of the race (just after the 10-mile mark), I pulled myself together and focused on what I needed to do to finish. I promised that I’d get myself to the finish line and that I would do in under two hours. I was extremely exhausted and in so much pain everywhere but I knew that the sooner I finished, the sooner it’d all be over. I pushed and pushed and when I saw a glimpse of the finish line, I started sprinting. Everything hurt, multiplied by a hundred. But I kept sprinting. And through the finish line I went. I looked down at my sweat-covered watch, nearly hunched over, and saw that I still had about three minutes until the two hour mark. Remarkably, I managed to complete this race in under two hours! I dared myself and I guess the egotistical Riri decided to make it happen. I was out of breath, in shock and crippled from my knee injury but I wouldn’t want to celebrate such a victory in any other fashion. It’s unbelievable how I managed to do so but I’m thrilled that I did. And just like that, I joined the sub-2 club. Not to mention, it was a 16 minute drop from the last time I crushed a half marathon. I didn’t think I could do what I did. If there’s one thing I learned, it’s that the human body is a remarkable thing. It does everything in its power to make us doubt ourselves from the core. It tricks us into believing in limitations. It doesn’t challenge, it doesn’t encourage and it doesn’t overcome. Our own bodies could be our worst betrayers. And yet, our bodies are also the rawest manifestation of our courage. It does things that everyone else says we can’t. People often say that our bodies aren’t designed to go long distances but I’d like to argue that our bodies aren’t designed to accept limitations. I felt that profoundly when I crossed that finish line. I’m officially part of the sub-2 club! I have such deep appreciation for those that supported this race from behind the scenes such as the NYRR staff and volunteers who were up hours before we were to set everything up. There were countless New York City agencies that showed unconditional support and dedication to keeping us safe. I’m especially impressed with the NYPD for having the loudest cheering voices out there. Here’s a huge thanks to the people that stuck by my side and pushed me as I trained for this. Now that I proved to myself that I could do a half (again), I need to build that confidence and the stamina to conquer the marathon in November. It’ll be twice the distance, twice the struggle and twice the pain. But it’ll be twice as amazing, twice as fulfilling and I’ll come out of it twice as strong. It’s going to take more than just hard work – it’s going to require focus, strength and an unshakable life condition. I’m ready to go all in and destroy it.